Monday I was out doing my fartlek. The trail was under construction at Legacy Road. This forced me into some soft dirt and I rolled my ankle. It hurt like crazy, but luckily it did not swell up like a grapefruit or bruise. Ron did some magic on it when I saw him Thursday. And by Saturday, when I went out to run with Terry, I did not notice that I had hurt it at all. Beyond that excitement, I did solo swims on Tuesday and Thursday - lots of strength stuff. Easy run on Wednesday, from home, since I forgot to pack my shoes! Circuits on Thursday. Then I hammered my saturday run with Terry. Felt absolutely fabulous!! Sunday it was cold and I was apparently tired - but a great ride with Terry nonetheless. Also this week, the SMW Triathlon Rankings were updated Wednesday. For the first time this year, I showed up in the rankings. 6th in my age group and 94th overall! I dont think that I cracked the top 200 in previous years. Saturday Oct 29: 86 min with TZ (recovery 60) 12.3 Mile run. Sunday Oct 30: Mckinney Loop with TZ (ave 16.1, cad 78, ride time 3:06, alt 485, temp 48) - 50.1 miles bike. Good week, started fartlek on Monday and had a great run with Terry on Saturday. Solo bike on Sunday and two solo swims on Tuesday and Friday. Saturday Oct 22: 90 min with TZ (recovery 51) 12.3 Mile run. 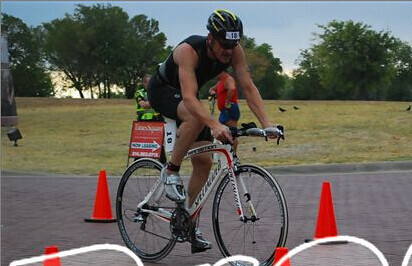 Sunday Oct 23: Mckinney Loop Solo (Part1, Part2) (ave 16.9, cad 83, ride time 2:42, alt 610, temp 72) - 45.6 miles bike. Getting the roady ready for fall, winter riding! Solid Circuits on Mon and Thursday. Nice swim on Tuesday and really good set on Friday with Ron and Harold - cranking out some 100s! Wednesday run was also solid. Saturday I met Terry and we hammered the east richardson loop. On Sunday morning I got the road bike out and met Terry again and we had a really nice ride up to McKinney and back. Neck is still really sore from the bike crash two weeks ago. Saturday Oct 15: 95 min with TZ (0recovery 39) 12 miles run. Sunday Oct 16: McKinney Loop with TZ (Ave 16.4, CAD 77, ride time 3:07, Alt 610, Temp 61) 52.2 miles bike. After the bike crash last Sunday, I decided I would turn down the effort during the week and do the Cooper Fall Sprint Triathlon. Monday I had a very short swim with Ron. I did circuits on Tuesday and Thursday with no problems and I had a very crisp 6 miler on Wednesday. 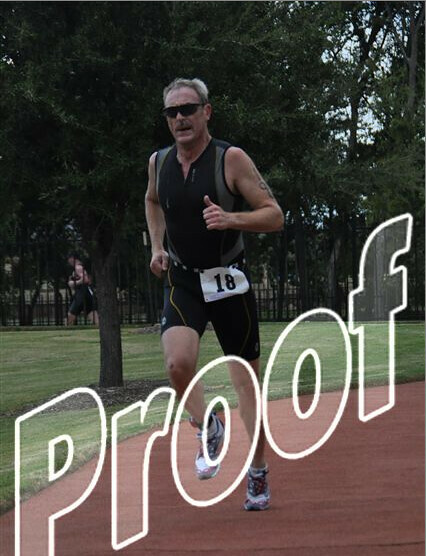 I did well in the race on Saturday, crushing the swim and doing very well in the run. And Sunday I felt good enough to do the 12 mile loop in 93! 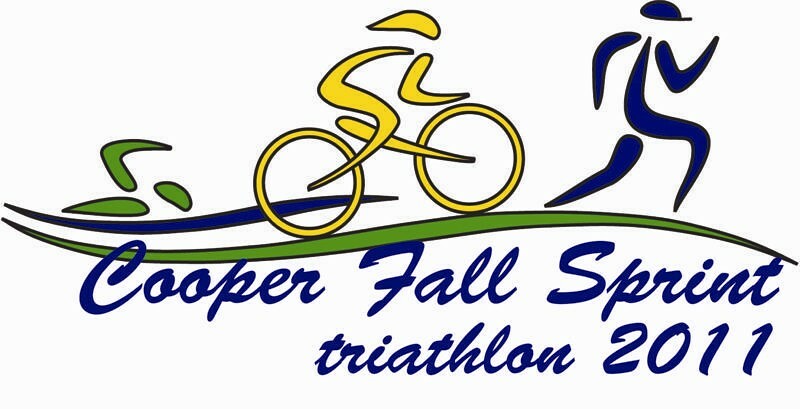 Saturday Oct 08: Cooper Fall Sprint 1100M Swim, 12 mile bike, 6.2 mile run. Sunday Oct 09: Murphy, Sharp Farm 93 min (recovery 52) 12 mile run. 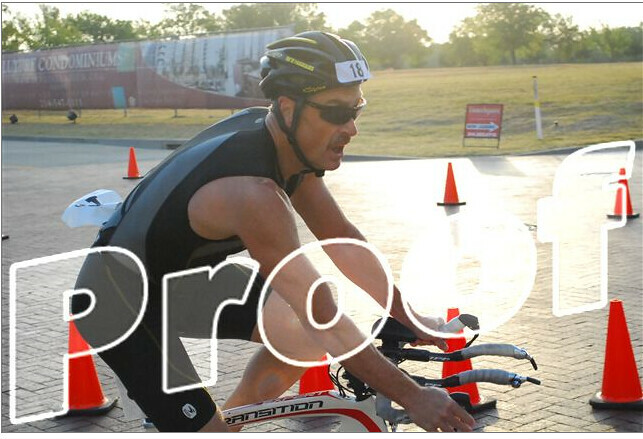 I had hoped to get in one more sprint triathlon this year and the calendar narrowed it down to this one or the Monster Sprint in Denton. I felt like training was going well which had me leaning toward cooper. The bike course was a two loop affair that looked like the shape of a star, complete with 10 180 degree turns. That did not look optimal, but then again it was only 12 miles, so what the heck. The swag was pretty lame: a technical shirt - they had me down for the wrong size and they did not want to change it although they finally agreed to give me the right size. And there was a cookie in there too. Needs improvement. Race weather was pretty nice. Cool, and overcast. After racking my bike, I got in the pool and cranked out a 750 warmup. The warmup was OK, but it did not feel great - I did not feel strong and relaxed. After my swim, I went back to transition to stash my bag and they were screaming about my bike not being racked properly. They musta been doing this for a quite a while. Indeed, I was in rack 1-15 and my number, 18 belonged in the next rack. Duh. Back at the pool we lined up and I was about the 10th person in the water. The cooper pool is an 8 lane 50 meter heated outdoor pool. They took the rope out of the last lane making it a 350 meter swim. 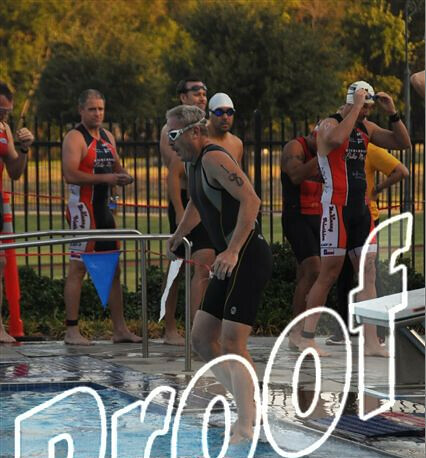 I never got jammed up during the swim, but good grief, triathletes do not know how to turn. At each wall someone was stopped right where I needed to turn. Get the heck outta the way! I got out of the pool, through transition and on the bike with no issues. All shoes accounted for. It was windy, and also some hills on the course. I rode as hard as a could, but I could never get in a good rhythm. A bunch of guys passed me on the bike course. As I came into the dismount line, someone, I think it was Joe Champ maybe, lost control and bit it pretty hard right in front of me. Between trying not run over Joe, and everything else, I only managed to get one foot out of my shoes. I must have looked pretty funny running to T2 with one shoe on and the other off. Trying to sort out the bike. No issues in T2 and I got right out on the run. Two guys, including Brad Soucher, had a pretty good jump on me out of the transition. I managed to run them both down in the first mile. The was one guy now in sight ahead of me, who turned out to be the eventual masters winner. He was running hard, but I did manage to close a lot of ground, almost catching him at the end. Results: 3rd overall in the swim. What? Really? That must be my highest swim placement ever. 18th in the bike. Bike course is too technical for my abilities. (Bike Stats from the polar: 11.2 miles, Ave 21.3, CAD 91, ride time 31:41, Alt 670, Temp 73) 5th in the run in 19:08. I felt like my running was coming along and sure enough 19:08 is a big improvement from my last race and it was done on a much harder race course. 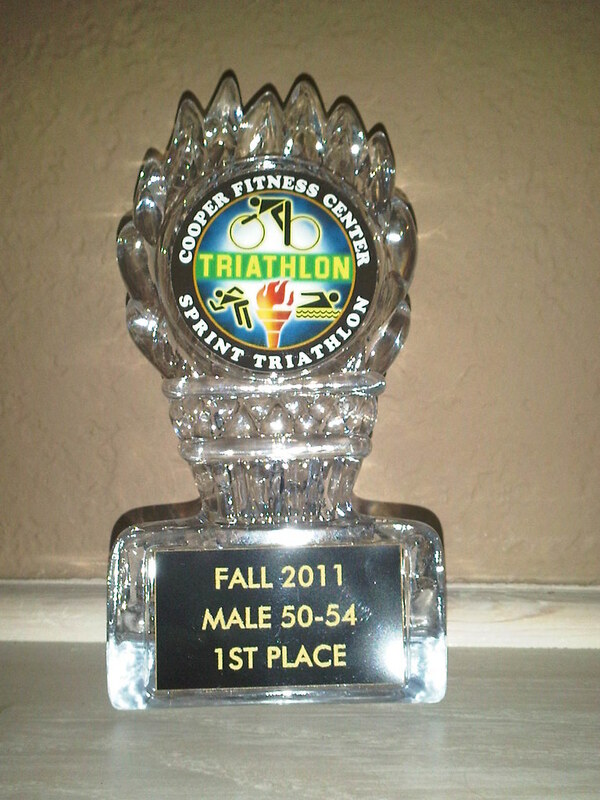 7th overall in 58:20, 2nd Over forty and first over 50. I also think that this was the first sprint tri that I had completed in under an hour! This was a pretty good month. It started out really hot and I was still recovering from my sore foot and achilles. I turned in a good performance during week two at Prairieman. Aftger that, I was able to start doing circuits and build my running base back up. My foot is getting better as well! Good week in spite of a big crash on the bike Sunday. Continued with decent circuit workouts on Monday and Thursday. Tuesday was a good swim with a 1500 built into it. Wednesday run was better than previous wednesday but slower than previous sunday. of course it was HOT. Then Wednesday afternoon I had a brutal massage from Mary and then Ron continued with the torture when he dug into my foot! But the PF is feeling much better and my runs thursday and saturday were both noticeably improved. Friday Ron led a killer 4K swim where the 1K swim turned into a 1500. Interesting. Saturday I nailed the 12 mile run in the 90 min standard. And then Sunday, I decided to ride from the house to Marissa's game in far north west god forsaken flower mound texas. It was a very cool morning. The ride was going well, I was up in North Lewisville when my wheel got stuck in a railroad crossing. I hit the ground hard scraping up my shoulder (ruining two shirts), my hip and my knee. The bike had minor damage on the brake lever. I had a moment of clarity as I was falling that my head was going hit the pavement HARD and that there was nothing that I was going to be able to do about it. And then bump. No issue. Giro helmet saves the day and trip to the hospital. Wow.